The 19th FIFA World Cup is going to commence from 11th of June and final match will be played on 11th of July. First time any African country i.e. 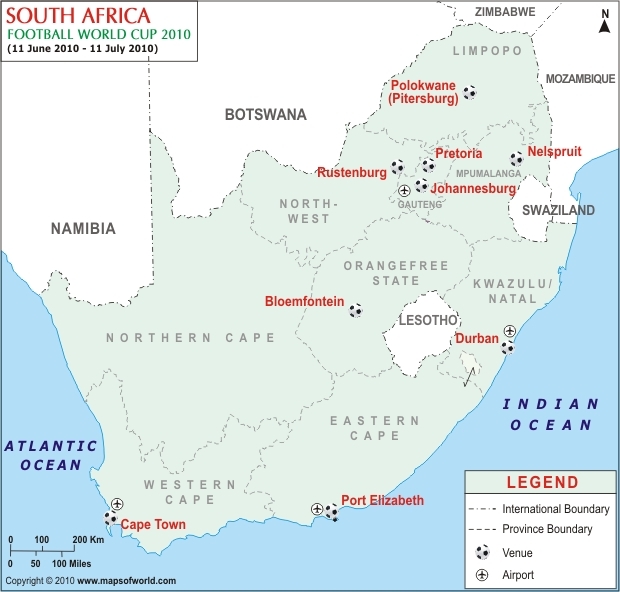 South Africa will host the FIFA World Cup 2010 in the cities Bloemfontein, Cape Town, Durban, Johannesburg, Kimberley, Polokwane, Port Elizabeth, Pretoria, Orkney, Rustenburg, and Nelspruit. However, qualification process had been commenced in August 2007 and completed in November 2009. The total country qualified for the FIFA World Cup 2010 is 32.